So a few weeks back, we explored a smattering of supernatural legends from St. Cloud State University. This time around, I wanted to take a different approach to the concept of haunted spaces, and turn focus to a bunch of real "ghosts" we unknowingly encounter every day - the dissolved, forgotten towns of central Minnesota. Many of us probably get the same old timey, western-style mental image when we hear the phrase “ghost town” – sepia-toned montages of overgrown, decrepit buildings with punched out floors and collapsed roofs, flanked by cacti and maybe a tumbleweed or two. I’m sure those Hollywood-style colonies are out there somewhere – but really, you won’t find them here in central Minnesota. As a matter of fact, most of the structures in the towns on this map were extinct before the turn of the century. Like a good ghost story, the forgotten towns of central Minnesota are full of mystery. It took this reporter a few hours of digging around in the spectacularly organized archives of the Stearns History Museum to find the essential maps, facts, dates and photos to prove these places really existed. Now, while I’m crazy about history, research and heavy-duty air conditioning on 90-degree days, I was slightly discouraged when I realized that the vast majority of these towns have one thing in common – hardly ANY documentation exists to describe exactly where they were, what they looked like or who lived there. Another mystery I quickly uncovered - there's no good reason some of these towns flourished (if only for a while) and others failed almost immediately. 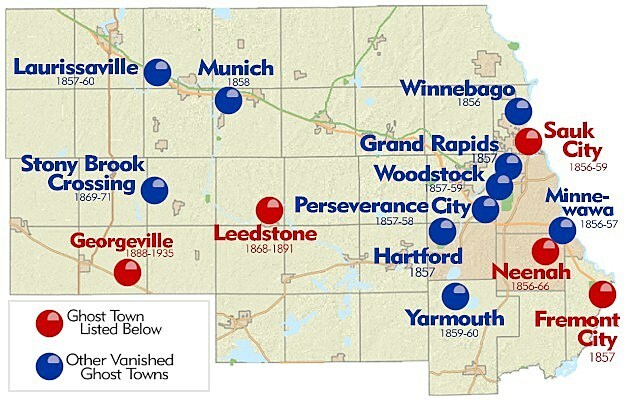 These towns (pictured on the above map) were surveyed and settled by enterprising immigrants during the 1850s and 60s, itching to develop profitable commercial trade centers. Some were temporary outposts - they drifted into disrepair and vanished. Others were platted, named and never saw so much as a single building. A handful served as the foundations for towns we know and live in today. Take a close look at the map we've created. The latter sums up the towns that made this list. 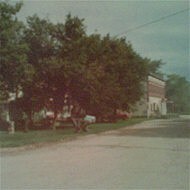 May I present for your consideration - and in no particular order - 5 central Minnesota ghost towns that captured and haunted my imagination. Surveyed on the site of present day St. Martin. Leedstone was a town that did experience development - and it stuck beyond the second half of the 19th century. The original structures might be gone, but unlike a lot of the town pins on our map, we can understand the lay of the land regarding Leedstone. As a matter of fact, Leedstone stands out on our list as an example of the power of rebranding. Seems that, over time, the towns that won out were those named for various saints - and anyone who's lived in the area for any length of time can confirm that. So while contemporaries might have fizzled, Leedstone saw renewed and continuous success as present-day St. Martin. Established 1888. Post office closed 1935. Georgeville is a very strange case. Unlike the rest of the towns on the map, it existed well into the first half of the 20th Century. 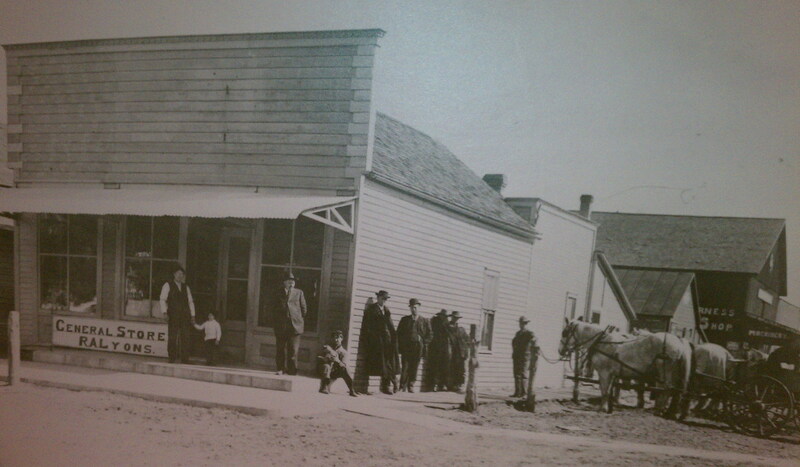 The town benefitted from the development of the railroad in 1887, and before long included a bank, school, stores, a cafe, stockyards and more. Georgeville's fatal flaw was its near complete dependence on agriculture, and when the industry took a hit in the 1930s, so did Georgeville. It quickly became a notorious hub for gambling and other fringe activities. Commercially, Georgeville quickly unraveled, but did sustain a population. Well, at least for a while. For reasons I don't completely understand, Georgeville experienced a bit of a renaissance. In 1969, folks humorously described in historical documents as "hippies" converged on Georgeville from all corners of the United States, living there communally for 4 years. This didn't sit well with the good, home-owning folks of Georgeville. The town experienced a cataclysmic decline. By 1988, the town had a population of 25. Building were abandoned and ramshackle. Businesses were defunct. Roads were untamed. All in all, this was not an encouraging situation in the eyes of Stearns County, for in 2000, the town was officially deemed uninhabitable and completely demolished. Names of Native American origin factor heavily into the historical landscape of Minnesota. Neenah is a Winnebago word meaning "running water" - appropriate for the early trading post community set up along Johnson's Creek. Today, it's difficult to determine the exact location of Neenah, but it is generally understood to have been south of what we now call St. Augusta. This house (pictured) is the only photographic documentation of Neenah in the archives of the Stearns History Museum, and was easily one of the most haunting and beautiful images I encountered in my info dig. Here's a ghost town with a close and lasting landmark. 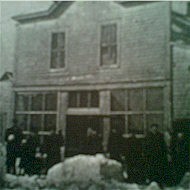 Sauk City was established by an entrepreneur by the name of J.H. Place. He chose to establish his fledging community where the Sauk and Mississippi Rivers meet in present-day northeast St. Cloud. 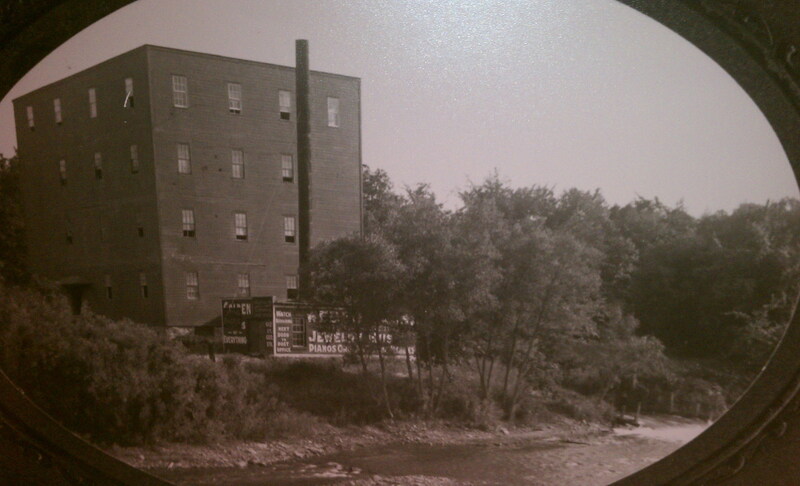 This location was very obviously selected for convenient commercial reasons, and spawned the creation of the Heim Milling Company, pictured in this photograph circa 1910. 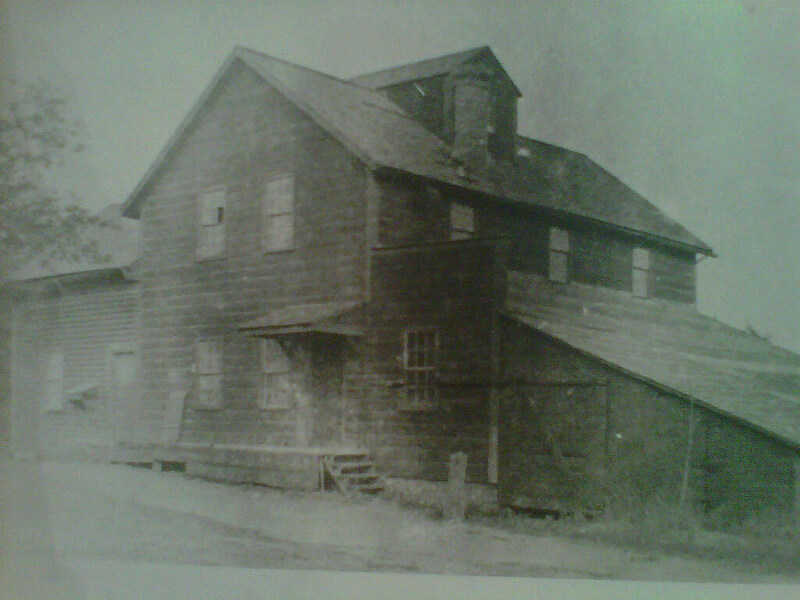 While the mill lasted, the town did not, and Sauk City was yet another central Minnesota community that ghosted away before the start of the 20th Century. If the small collection of photos in the Stearns History Museum's Fremont City file are any indication, this was a town that was taking a flying leap at a sustainable future. It is assumed to have been named after famous civil war General John C. Fremont. Unlike the Union Army, Fremont City did not win the battle against extinction. A small residential and commercial aggregation was developed for just a few short years before being abandoned. Today, the legacy of Fremont City is scattered just south of Clearwater. So that's a little bit of what I learned in my "ghost hunt" this time around. Not your typically ghostly tale, true, but haunting nonetheless. A big thanks to John and Sarah at the Stearns History Museum for all their help with this research. And I hope, if you happen to find yourself out tromping around north/south/east/west of a contemporary central Minnesota town, you stop to consider what might have been in that exact spot 150 years ago. I know I will.